The project proposed by ICAR Foundation and Pluriels Association, a Swiss non-profit organization, aims to address the disparities in the mental health expertise of Romanian specialists working with vulnerable and traumatized groups, and their limited access to specific, practical and targeted professional training programmes in Romania. – promote the Swiss-Romanian training programme at national level and build organizational capacity for ICAR Foundation. These objectives will be achieved through the following main activities: study visits of Romanian specialists to Switzerland in order to share experience and exchange good practices, professional training sessions on migrant psycho-trauma aspects conducted by Swiss professionals in Romania, elaboration of the training curricula on severe trauma recovery with Swiss supervision and support, preparation and accreditation for the training organisation and programme, delivery of the first training programme for Romanian health professionals by a Swiss-Romanian mixed team of trainers. – Swiss partner (Pluriels) staff and experts will benefit from the exchanges and sharing of experiences with the Romanian specialists (ICAR) and will gain a comparative approach of migrants and/ or traumatized people in Romanian context. Funder: project co-financed by a grant offered by Switzerland to Romania through the Swiss Contribution to the enlarged European Union. Budget: total cost will be 211.070 CHF. Out of this sum, 189.770 CHF will be requested from the Swiss-Romanian Cooperation Programme (137.410 CHF for the Romanian party and 52.360 CHF for the Swiss party) and 21.300 CHF will represent co-financing (15.500 CHF from ICAR and 5.800 CHF from Pluriels) cash contribution. Click here to read the plan of activities: Plan de activitati RO. 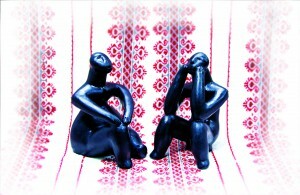 Read here the expected results of the project: Rezultate asteptate RO. 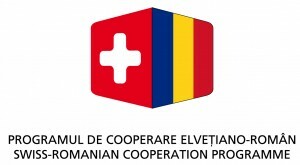 For more details on the Swiss-Romanian Cooperation Programme, please visit http://www.swiss-contribution.ro and www.swiss-contribution.admin.ch/romania.